Removable dentures are an alternative for replacing missing teeth. Impressions of the gums and any remaining teeth are used to make dentures in a process that involves several appointments of measuring the jaws and existing teeth and gums. Removable dentures can provide an alternative to implants or bridges in some instances. 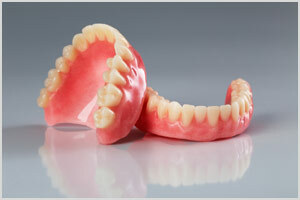 Two types of dentures are available, complete and partial dentures. Complete dentures are used when all the teeth are missing, while partial dentures are used when some natural teeth remain.